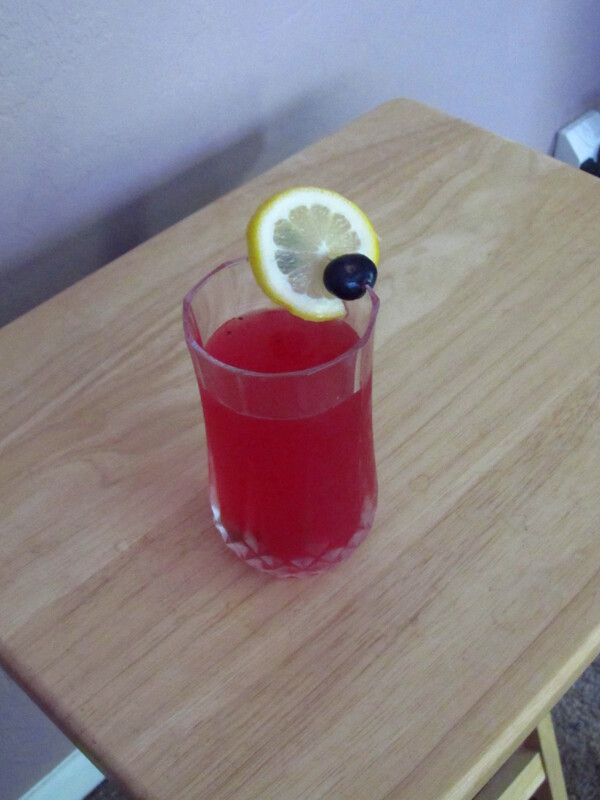 One of my favorite drinks is lemonade and The Big Guy loves blueberries. I got a good deal on some local blueberries at a local market this past weekend. They local blueberries made the pre-packaged kind look puny. I really prefer local produce when possible. Oh and of course, I’m still breaking in the Ninja. 1 cup sugar — we are cutting down on sugar so if you like it sweeter add more. Bring 2 cups water and 1 cup sugar to a boil. Boil until sugar is dissolved. I used the 72 oz. pitcher for the Ninja. Pour in sugar mixture, blueberries and lemon juice. I added ice so we could drink it immediately. Blend until smooth. Add mint leaves and pulse until leaves are broken up. I think it was about 5-10 seconds. Pour into 1 gallon pitcher and enough water to fill.